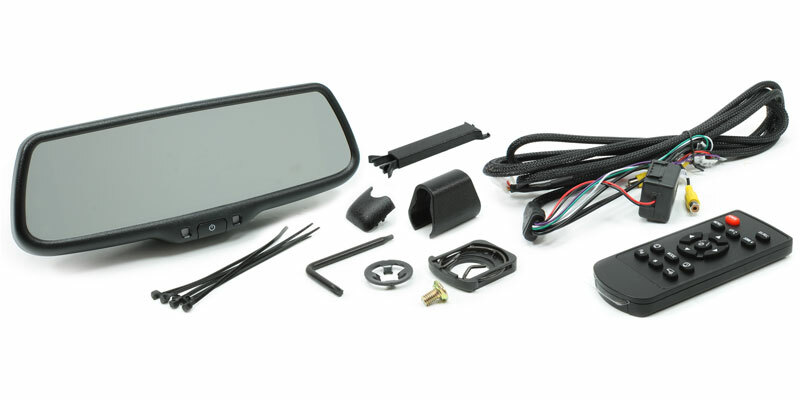 Rearview mirror with 7.3-inch LCD screen now available! At Rostra, we are proud to introduce another innovative video mirror/monitor. Featuring a versatile, high-resolution 7.3” LCD screen, part number 250-8273 is the perfect compliment to our around-vehicle camera product line providing drivers with a variety of options for automatically or manually displaying real-time video from the blindspots of their car, truck or SUV. 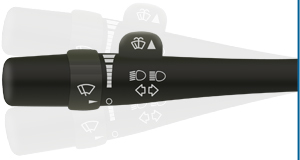 While the rear-facing video input of the 250-8273 mirror/monitor provides drivers with peace-of-mind when maneuvering their vehicle in reverse, the mirror includes options for both Left and Right video displays which can be triggered automatically by the vehicle’s turn signal switch or activated manually as-needed by the driver using the on-screen CH button. With Rostra’s 250-8273, no external relays are required to activate these inputs. The 250-8273 mirror features on-screen parking assistance grid lines to aid drivers when maneuvering the vehicle in reverse by helping to provide an estimated distance to any objects in view of the backup camera using color-coded zones. The remote control included with every 250-8273 mirror allows installers and vehicle owners to make vehicle-specific adjustments including turning parking assistance grid lines On or Off as well as aligning the grid lines on-screen for increased parking accuracy. The mirror’s built-in photo sensor automatically dims the LCD screen in low light conditions to ease strain on the driver’s eyes while increasing illumination of the LCD during the day to make the screen easier to see in daylight. For the best in driving experience, choose a backup and blindspot camera system from Rostra, the leader in in-vehicle video technology technology. Please note, RearSight camera systems are only sold through authorized distributors. Please contact Rostra to locate a distributor in your area for your rearview mirror with built-in screen and camera.